ITM Platform uses two formats for task creation and management: the Gantt diagram and the task list. The projects include a task view where you can add, update and move dates simply and quickly. 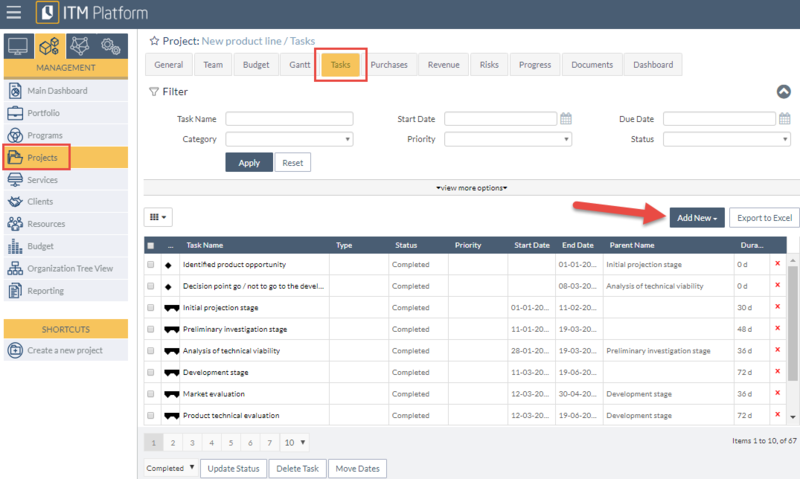 Click on the MANAGEMENT menu, Projects 1, and select the project where you wish to create the task. In the Tasks 2 section you will be able to create three basic types: milestone, summary task or normal task. 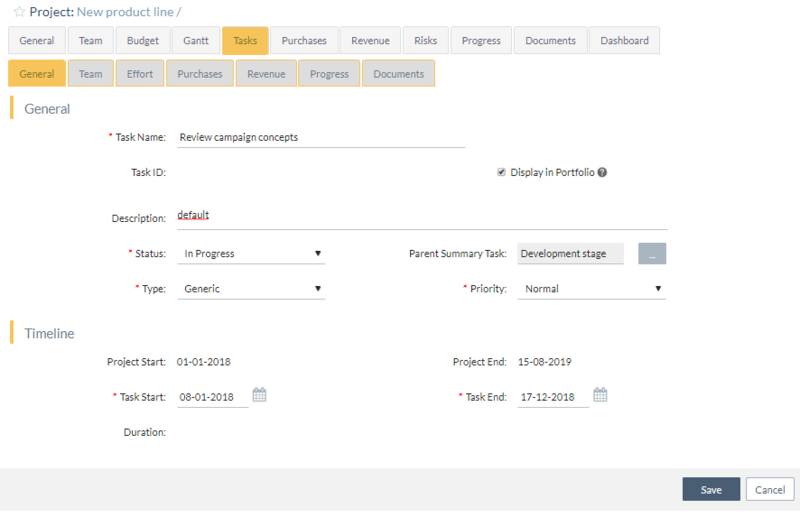 You can add additional information which will help complete the task administration function, such as the assignment of dates, team, required efforts, attachment of documents or monitoring processes. In addition to creating tasks, you can also export them or move several tasks on the schedule in one single step.